It's a great day when you can go back through your photos and relive the first few days of your new job. You know how you felt: excited, a little nervous, on day 4 hair. After a quarter bottle of a dry shampoo and some hair magic, I felt human again. I had been moving boxes every night into my new place, at this point. Packing in the mornings and toting my life in the evenings. A great work out but exhausting. I was too excited to even care. For my outfit I wore my favorite slouchy cardigan that I bought from Nordstrom Rack. I'm surprised I don't have more WIWs with it. 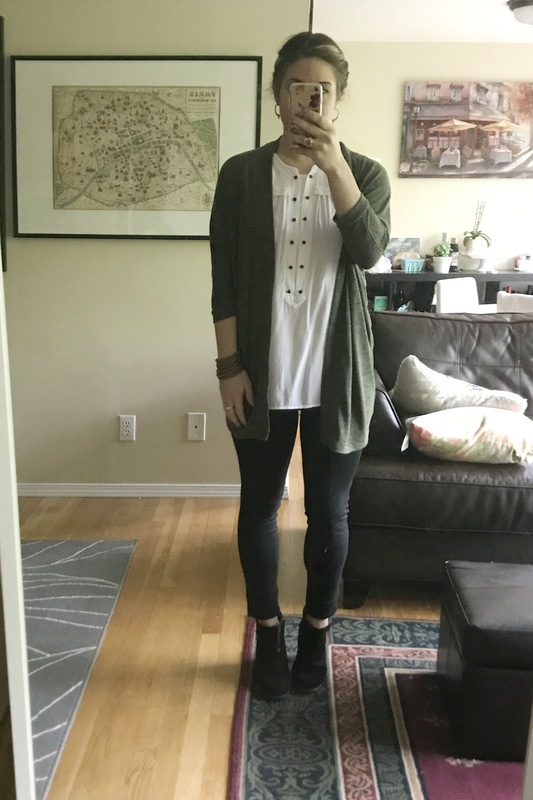 My last post wearing it is here. I honestly throw it on all the time! Over anything and everything. 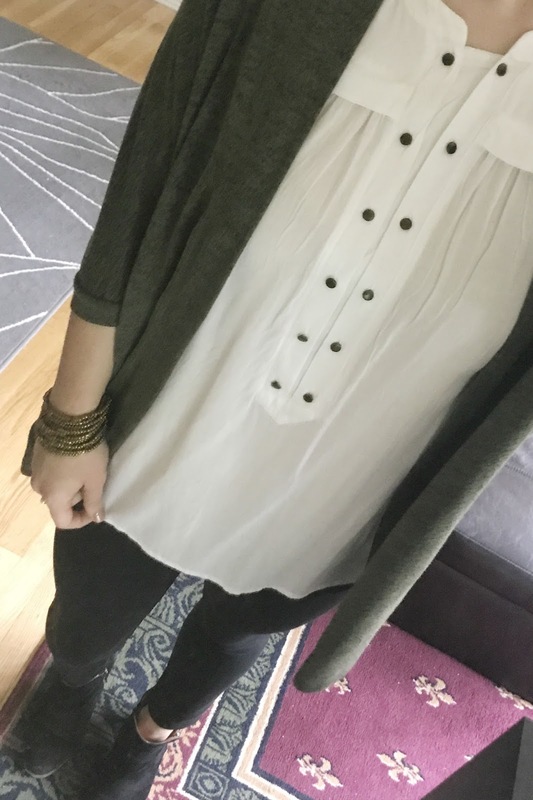 My favorite white top from anthropologie, black pants from Calvin Klein, booties from The Office (which I picked up on my last trip to London) and my gold beaded bracelet (which was a gift from one of my best friends, A, when we were in Cancun). I love looking through these old pics on my phone. I should catch up quickly. 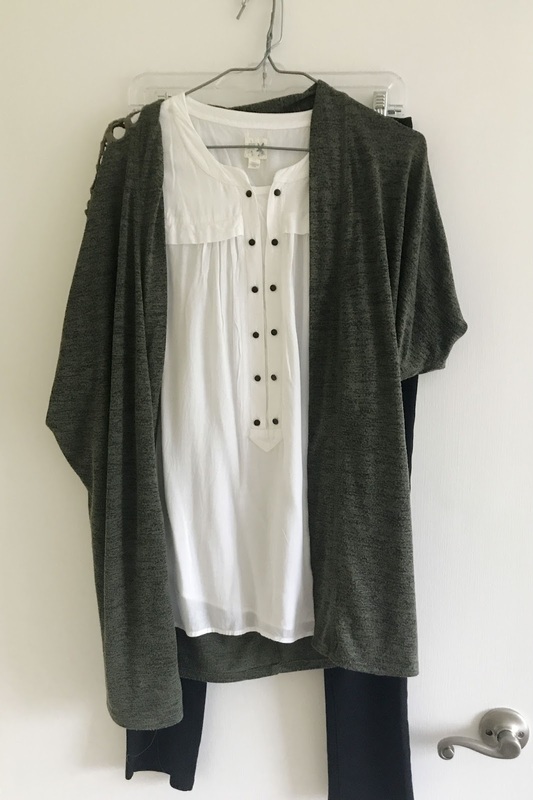 Gosh, I love that green cardi!